Envigo is a clean and elegant HTML- One Page Template, based on twitter bootstrap 3 framework, it will give you the best experience,with a lot of beautiful effects, easy to customize it and Compatible on every device and any browser. 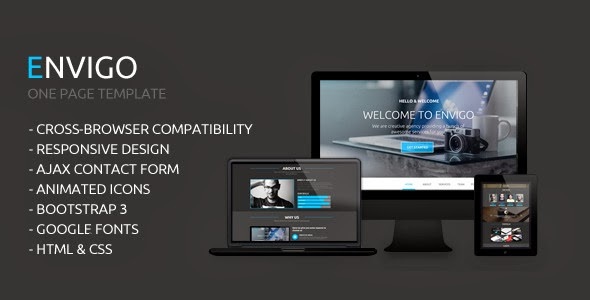 Item Reviewed: Envigo - Responsive One Page Template 9 out of 10 based on 10 ratings. 9 user reviews.